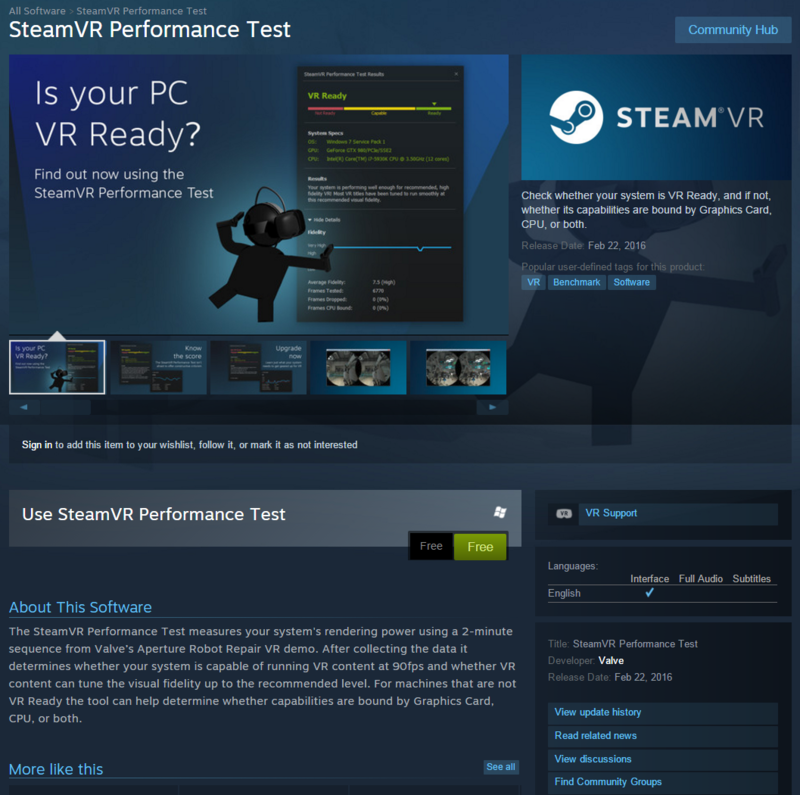 Steam has released a new tool designed to determine whether your graphics card performance is powerful enough to deliver appropriate VR experience. The tool itself although released, has been taken down or made temporarily hidden in store. SteamDB has pickup the data though and there is actually still a way to install it regardless of availability in steam store. This should launch Steam and begin the installation process. I don’t have it in tools, but I’ve been able to download with IE trick. Once installed and if you wanted (not necessary), to launch Steam in VR mode add -vr at the end of the Steam shortcut – first game you should test that supports VR is Team Fortress 2. Originally Steam VR beta was in development in 2014 for the Oculus Rift. Since 21 December 2015 Nvidia have been ready for VR with SLI support, any driver 361.43 or newer is fine for GeForce/Quadro cards. Performance feedback looks good. Not sure about AMD driver atm. 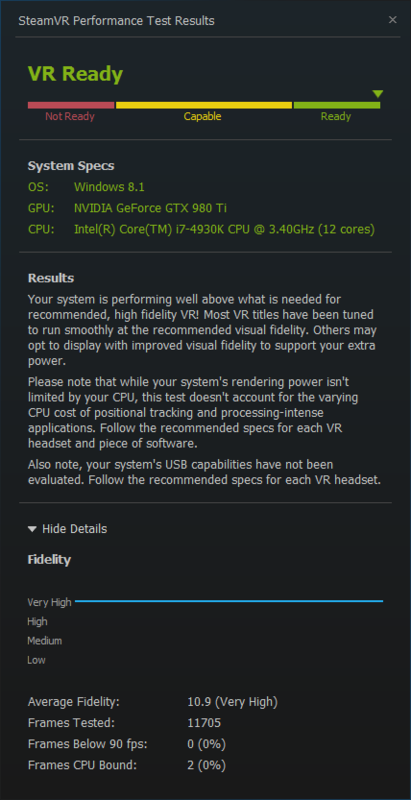 To clarify, the tool I had was for the actual Steam VR for HMD and not as WhyCry mentioned the Performance tool, duh! The difference being the download size at 1.9GB (4.62 GB installed) while the tool earlier was 406MB (1.83 GB installed). Right now Nvidia is slightly ahead, once we have asynchronous shaders AMD may be slightly ahead. SLI will only ever work in OpenGL with each card driving each eye, good for latency and smooth motion. More info (via video below), this time related to what was hidden. Sometimes devs leave assets around whether they are used or not, ie under the map or near a spawn box. Includes references to Half-Life 3 and Left For Dead 3.